Internet gaming addiction was included in the latest version of the DSM-V as a possible disorder recently, while debate is still on-going as to whether the condition called “Internet Addiction” (IA) could be fully recognised as an established disorder. The major contention is how well IA could fulfil the validation criteria as a psychiatric disorder as in other well-established behavioural addictions. In addition to various proposed validation criteria, evidence of risk and protective factors as well as development of outcomes from longitudinal and prospective studies are suggested as important. A systematic review of available longitudinal and prospective studies was conducted to gather epidemiological evidence on risk and protective factors of IA and the health effect of IA on adolescents. Nine articles were identified after an extensive search of the literature in accordance to the PRISMA guidelines. 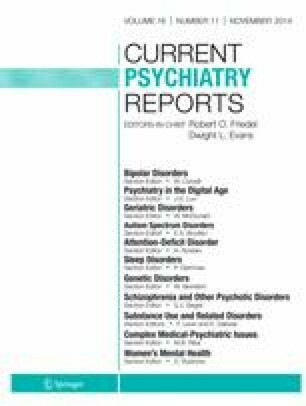 Of these, eight provided data on risk or protective factors of IA and one focused solely on the effects of IA on mental health. Information was extracted and analysed systematically from each study and tabulated. Many exposure variables were studied and could be broadly classified into three main categories: psychopathologies of the participants, family and parenting factors, and others such as Internet usage, motivation, and academic performance. Some were found to be potential risk or protective factors of IA. It was also found that exposure to IA had a detrimental effect on the mental health of young people. These results were discussed in light of their implications to the fulfilment of the validation criteria. Lawrence T. Lam declares that he has no conflict of interest.